Today is the anniversary of the 2014 Napa Earthquake, and as per our custom to use relevant disasters as reminders to get prepared for them, we were going to post a blog about the most significant earthquake to have occurred in the Bay Area since the Loma Prieta earthquake in 1989. But our plan changed in light of what happened in Italy. Just last night a powerful 6.2 Magnitude earthquake epicentered in Amatrice, Italy caused nearly 200 fatalities and immeasurable destruction. Seeing the devastation Italy is experiencing today (and will for quite a while) is chilling, tragic, and heartbreaking. It’s only natural to think about the ‘what-ifs’ when it comes to a significant earthquake happening here at home, only to push those dark scenarios out of our heads and move on to the next most pressing to do. We are here to tell you it is okay to set those scary thoughts aside; but please don’t stop there. Do something constructive, productive, and proactive when it comes to being prepared for an emergency. Take stock of your supplies (and add to it if you can). Talk about your emergency plan with your family. Ask your neighbors what you all could do to respond and recover–together. Get creative. Keep it simple. Do what feels right for you and yours. It will feel good knowing what you have done before the earthquake will make a huge difference in the aftermath. Please visit www.SF72.org to learn how to be prepared for just about any emergency. And as we take some time now to get prepared our thoughts, hearts, and prayers go out to Italy. This DEM Quarterly Review captures DEM’s spring seasonal highlights–which was a very busy several months that included special recognitions, commemorations, and graduations. Supervisor Eric Mar (far left) presented Natalie (center), a resident of his District, with the Dispatcher of the Year Award. Natalie Elicetche was recognized as Dispatcher of the Year for fielding a call from a San Francisco resident who reported the possibility of multiple murders in Tennessee. Natalie contacted local authorities in Tennessee which led to the arrest of the murder suspect. This was an incredibly complex situation, yet through it all Natalie exhibited compassion, strength and initiative which resulted in justice for the victims of this horrendous crime. Janice Balodocchi is this year’s recipient of the Toni Hardley Award for Excellence in Supervision–an award dedicated to the memory of Toni Hardley, a beloved supervisor of DEM who is remembered for her calm, cool, and collected nature. As one supervisor remembers her “She was the supervisor everyone aspired to be.” Janice was awarded for her outstanding commitment to leadership, guidance, and support to her staff. She is revered on the 9-1-1 dispatch floor, and we commend her for her service to our dispatchers. The 9-1-1 Heroes Award gives us the opportunity to recognize children who called 9-1-1 for family members in peril, and the dispatchers who answered their calls. This year we honored Allessandra Esquivel and Janaia McKinley who called 9-1-1 for family members experiencing medical emergencies; and DEM Dispatchers Celia Velasquez and Burt Wilson who helped them to save their loved ones. Allessandra had to assist her non-English speaking parents when calling 9-1-1 because her baby brother was choking. DEM Dispatcher Celia Velasquez assisted Allessandra by instructing her to perform CPR on her infant brother. Janaia called 9-1-1 to report her grandmother’s heart attack. DEM Dispatcher Burt Wilson directed Janaia until an ambulance and paramedics were on scene. Every spring DEM joins our fellow San Franciscans to commemorate the Great San Francisco Earthquake and Fire that took place on April 18, 1906 at 5:12 a.m. The early morning setting is stepped in years of tradition with revelers dressed in turn-of-the-century attire. Through song, speech, and a little spray paint we reflect on what happened that morning many, many years ago; and we celebrate how San Francisco rose from the ashes to become the resilient and beautiful city it is today. The 1906 earthquake commemorations begins before dawn at Lotta’s Fountiain, where many San Franciscans gathered in the early morning of April 18, 1906 after the earthquake struck. DEM personnel at Dolores Park where the ‘Golden Hydrant’ (one of the only working fire hydrants after the 1906 earthquake ) gets a customary fresh coat of gold spray paint every April 18th. This May we celebrated our San Francisco paramedics, EMTs and hospital providers with various events during National Emergency Medical Services (EMS) Week. For the first time City Hall was lit in EMS colors, as San Francisco joined the ranks of other major cities like Boston and New York that light iconic city structures in the EMS colors during National EMS Week. San Francisco City Hall lit in EMS colors. We also honored our EMS community by hosting San Francisco’s EMS Day at Civic Center Plaza where ambulance service providers, EMTs and paramedics gathered to share apparatus displays and educational information with the public. San Francisco City College stole the show by exhibiting hands-only CPR skills and encouraging public participation. San Francisco EMS Day on Civic Center Plaza. Also a component of San Francisco’s EMS Week is the EMS Awards–annual awards program that recognizes outstanding emergency medical services delivered to San Francisco. The awardees are nominated by their peers for a variety of emergency medical services including: emergency medical dispatch; field medical response; hospital medical service; community service; and the Raymond Lim Excellence in EMS award.We were thrilled to see DEM’s very own Dawn Mahoney awarded with the EMS Dispatcher of the Year award. Congratulations to the POST 51 Academy, DEM’s newest group of dispatcher recruits who graduated from academy training. We wish you the best of luck in the next phase of your journey to become one of San Francisco’s Public Safety Dispatchers! DEM’s 2016 first quarter Winter was a whirlwind for DEM: Super Bowl 50 (the Super Bowl of Super Bowls) came to San Francisco and our multi-year planning and preparations for this world class event came to fruition with a nine-day Emergency Operations Center activation. Concurrently, DEM coordinated the City’s preparations for and response to the extreme weather that the most significant El Nino on record brought to San Francisco. Along with these two major initiatives, DEM’s day-to-day operations and projects continued without disruption and this blog captures some of this past season’s highlights. Meanwhile, DEM looks forward to a spring season that includes National Public Safety Dispatchers Week, the 1906 earthquake anniversary, the 150th anniversary of the San Francisco Fire Department, and the National Emergency Medical Services Week (stay tuned for more information about these exciting events in the weeks to come). On January 30th, we began a nine-day Emergency Operations Center (EOC) activation in support of the Super Bowl 50 (SB50) events taking place in San Francisco. Joined by fellow City departments, and our regional, state, and federal partners, DEM led the City’s coordination and resource management for the exciting events (and City’s regular, day-to-day activities) taking place in the nine days leading up to the big game. In the months leading up to the extended activation, The Division of Emergency Services conducted many city-wide planning meetings; organized a series of exercises that tested our City’s emergency plans and our ability to work with our community, local, regional, state, and federal partners; and conducted an immersive “EOC Bootcamp” for DEM staff and fellow City departmental staff to help everyone feel prepared and comfortable for the SB50 extended activation. Getting ready for SB50 also included efforts from Administrative and Information Technology staff who prepared our systems, ensured our building’s facility was at optimal functionality, , along with making sure the Department’s day to day operations ran without disruption. Our participation in Super Bowl 50 public safety operations was the result of a multi -year planning effort, and required intense execution for the entire staff. The Department of Emergency Management showed it was capable of handling an event of this nature to the world, so much so that rumor has it we may be seeing the Super Bowl again. Click here to watch us in action. Congratulations to a successful Super Bowl 50! Thanks to our emergency planners Amy Ramirez and Edie Schaffer, the City and County of San Francisco Tsunami Annex is officially close to completion! The Tsunami Annex contains plans City officials will use to guide our response efforts in the event of a tsunami. The next step in the process is to familiarize San Francisco communities that could be impacted by a tsunami with this Annex, along with tsunami preparedness education, beginning with Treasure Island. This spring we will be working in partnership with the Treasure Island Development Authority (TIDA) to help Treasure Island residents know how to prepare for a tsunami, and what to do when confronted with one. To learn more about tsunamis, read our blog post in honor of the 2016 California Tsunami Preparedness Week. Recently UASI participated in an exciting event known as Bay Area IV. Unlike most emergency exercises this operation involved 28 agencies and more than 600 participants. Bay Area IV is an annual exercise hosted this year by Golden Gate Ferry. The objective was to test the emergency preparedness and security of ferry operators, the USCG and other maritime first responders. Multiple-scenarios took place in the waters east of Treasure Island and the Jack London Ferry Terminal. UASI staff participated in the planning and execution of this exercise. Great work! Welcome to our newest dispatchers to the Department, the POST 51 class! These individuals are in for some intense training in the months to come. Have you ever wondered what it takes to become a 9-1-1 dispatcher? To learn more visit our blog detailing the extensive training that dispatchers receive. In March we were visited by the Mayor of Taipei, Taiwan and his delegation. They were interested in learning more about how San Francisco, a sister city, plans for and responds to emergencies. The delegation was very interested to talk to DEM staff to learn as much as they could about our approach to emergency management. Along with Mayor’s entourage came very dedicated (and numerous!) Taiwanese media as seen in this photo of the Mayor being interviewed in force by Taiwanese reporters. Robert Smuts received a 2016 SPUR San Francisco Good Governance award earlier this month for his work overseeing operations and the administration of the Division of Emergency Communications. He is being commended for bringing in Google analysts to assess the 38% spike in call volume to the 9-1-1 call center, as well as his efforts to improve the 9-1-1 call center response times, among many other things. Congratulations Rob! As part of the Spring 2016 CCSF and MEA Leadership Development Program, Michael Dayton and Mitch Sutton completed a three month course designed to build skills to successfully engage with key stakeholders, colleagues, team members, and executive management. Working as a cohort, they took part in a workshop series to practice models for communicating in a variety of situations in order to learn valuable skills, develop relationships with other City leaders, and receive coaching from program peers and alumni. The San Francisco Neighborhood Emergency Response Team’s (NERT) Disaster Corps Unit has won California’s 2016 Governor’s Volunteering and Service Award for the Disaster Volunteer Program of the Year for their work on the Valley Fire. For command of the police service radio channel after an armed suspect led police on a foot chase that took a turn for the worse when the suspect stole a police vehicle resulting in pursuit. For command of the police service radio channel during a pursuit with an armed suspect that lasted an hour and spanned several districts of the city. Her decisive voice and confidence radiated the airwaves as she assisted officers to safety. For her command of the police service radio channel while working two different emergencies simultaneously. San Francisco has its very own Voluntary Organizations Active in Disasters (VOAD) group, but a lot of individuals and organizations don’t know what that means. We’ve summed up what that means for you and your community. A VOAD is a coalition of nonprofits and businesses that meet the unmet needs of local, state, and federal emergency responders, communities, neighborhoods, and other organizations. They are basically a group of organizations that have access to either goods, services, or buildings that can support during an emergency in case the community has an urgent need. 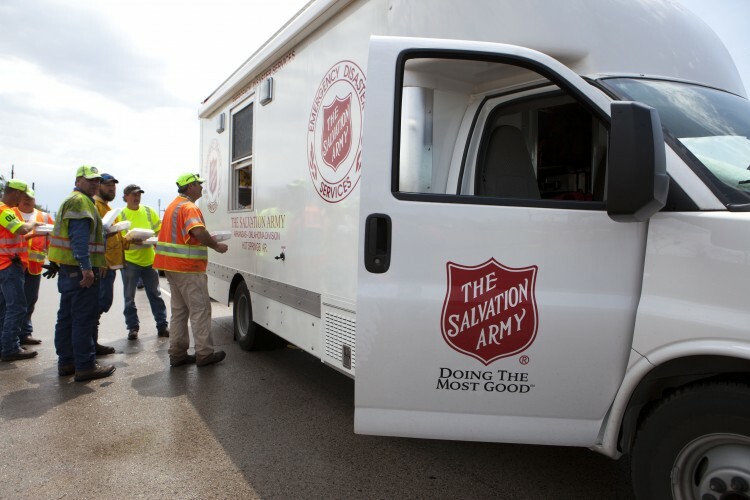 VOADs are typically formed by organizations like a faith-based group, Salvation Army, or the American Red Cross because their community is at risk for a disaster. VOADs can be formed before, during, or after an emergency happens. Some VOADs have formal internal structures with an Executive Committee or Board, bylaws, and formal meeting structures, others meet on an ADHOC basis. VOADs can exist at the local level like the San Francisco VOAD, County, State (California has a Northern and Southern VOAD and they can be multistate), and a National VOAD. VOADs organize in order to respond to emergencies and to communicate during emergencies the needs of the community. For example, in San Francisco during a large neighborhood fire, the local VOAD was requested by a shelter to help find more items of clothing for the survivors. It’s as simple as finding a need, and working with a partner organization to meet that need. Will the VOAD come knocking on my door during an emergency? VOADs are not first responders, they will not put out fires, respond to crime, or put themselves in harm’s way during an emergency. They typically begin working after the emergency has ended and the community needs to recover. These recovery efforts could look like cleaning up homes after a storm, providing emotional support or counseling, identifying food and clothing, managing donations and volunteers, delivering necessities to community members, or providing assistance with lost animals. How can I join the local VOAD? VOADs are open to all official organizations (private, public, NGOS, etc. ), but sadly not to individuals. If you want to help out in an emergency, but are not affiliated with an organization with a response role, we highly recommend joining your local Community Emergency Response Teams (CERT or NERT in SF). and getting involved at the next VOAD meeting. Will it Work at 0200? How do you write emergency plans that work at zero dark thirty hours? DEM’s Lead Emergency Planner, Amy Ramirez, and I have been invited to speak on this topic at the International Association of Emergency Managers Annual Conference in Savannah, Georgia during the week of October 17, 2016. Consider this blog a preview of coming attractions, and a summary of some important lessons I’ve learned from Amy since I joined DEM in 2013. So, how do we write emergency plans that actually help people in the Emergency Operations Center (EOC) quickly understand what they need to do to coordinate information and resources in support of field responders during a disaster? Emergency planners here at DEM use this question as both a spur and a touchstone. Pictured Left to Right, Amy Ramirez and Edie Schaffer working on the 2014 Hazard Mitigation Plan. Traditional emergency plans begin with a purpose and scope section, a list of assumptions the plan author made in writing the plan, and other introductory material. But after talking with the people who use our plans—other emergency managers—we realized the tools plan users need to hit the EOC running shouldn’t be hidden in the middle of a plan. They should be front loaded for easy access; this is the purpose of the Critical Action Guide. Edie Schaffer on the left with Treasure Island Development Authority stakeholders discussing tsunamis. The Critical Action Guide is an abbreviated version of the plan, designed to function as a tear-away resource for San Francisco EOC and Department Operations Center (DOC) personnel. For example, a Critical Action Guide for a hazard-specific plan (e.g., an earthquake or tsunami plan) typically includes an overview of possible actions needed to successfully coordinate the incident; a critical decision matrix to assist users making significant decisions (e.g., do we evacuate the tsunami inundation area or not? ); an event coordination task list of critical steps to take to coordinate the incident; and a roles and responsibilities table showing hazard-related duties of each department or agency involved. Speaking of agency and departmental involvement one of the most important aspects of emergency planning is something we might miss if we focus only on the words on the page. It’s the people who work together to develop and maintain the plan. It’s the partnerships we forge as we work together on the plan. It’s the challenges we face together as we finish and implement the plan. Without input and support from our partners, our plans are paper tigers. When they embody the collective knowledge, expertise, and experience of the departments and agencies involved, our plans become an essential blueprint for how we’ll work together to protect and restore San Francisco after disaster strikes (even in the middle of the night). Edie Schaffer joined the San Francisco Department of Emergency Management as an Emergency Planner in 2013. Since then she’s revised San Francisco’s Hazard Mitigation Plan and Tsunami Annex. She’s now working on a revision of our Disaster Debris Management Plan. Edie’s favorite thing about her work is going home at night with the feeling that she’s done something to help make San Francisco safer and stronger. San Francisco Pride is the pinnacle of all Pride celebrations. It draws the largest gathering of the LGBTQ community and allies in the nation. It is a weekend dedicated to love, equality, and diversity. Sadly, the recent attack in Orlando has cast a dark shadow of sorrow and fear over our beloved SF Pride celebrations. As someone who has dedicated her entire adult life to LGBTQ advocacy, this angers me. Greatly. However, as the department head of the organization responsible to coordinate a safe and secure San Francisco Pride weekend, this invigorates me. Beginning the Friday of Pride Weekend through Sunday night, my team will run the City’s Emergency Operations Center (EOC). We will be joined by many other City agencies with a role in Pride operations. Should the unspeakable happen, we will be poised and at the ready to provide situational awareness and meet any resource needs. We activate the EOC a lot—for both planned events like Super Bowl 50, and unplanned events like a five alarm fire. We know how to manage emergencies. As Executive Director of the Department of Emergency Management, providing this kind of support to our City’s Pride celebrations adds a dimension to my LGBTQ activism, because I am a part of the system dedicated to the safety and security of all who will be celebrating the culture and heritage of pride in the days to come. I can’t wait to see San Francisco become electric with Pride this weekend as we welcome all who believe in the LGBTQ ideals to celebrate with us, stand with us, but most of all defy those who use hate as a weapon. Anne Kronenberg (standing to the left of Mayor Ed Lee) on the front steps of the San Francisco Department of Emergency Management following the the SF Pride Weekend City-wide coordination meeting. San Francisco middle school-aged students were invited to share their ideas on how they can make emergency preparedness part of their everyday lives. The contest was sponsored by the San Francisco Department of Emergency Management, San Francisco Fire Department, and the San Francisco History Association. San Francisco middle school students Leo Schutzendorf and Teresa Y. Lee were recognized as the winners of the contest on the 110th Anniversary of the 1906 Earthquake and Fire. As co-awardees, Leo and Teresa received a $250 scholarship furnished by the San Francisco History Association and a future ride on the San Francisco Fire Department’s new fire boat. San Francisco is my home. I was born here and have lived here eleven years (so far!). I like living here because there are great restaurants and a lot of fun things to do. However, it is also a city spanning two tectonic plates: the North American Plate and the Pacific Plate (the Farallon Islands are on the Pacific Plate). Since it spans two tectonic plates, earthquakes are frequent and come with little warning. Preparedness is very important and that is what this essay is about. Earthquake preparedness means getting ready by knowing what to during the quake and having supplies for after the quake. Most are too small to feel, but no one knows when a larger quake will strike. Unlike a hurricane, there is not much warning. The second the ground starts to shake people need to know what to do otherwise there would be a lot of chaos and more people would be hurt. 1. Get emergency supplies together. Have water, food, and a first aid kit. If possible, it is also good to have extra clothes, a flashlight, and a radio. 2. Practice earthquake drills often so people automatically know what to do during the quake. This is good for school and home. 3. Get to know your neighbors so you can help each other out if needed. 1. Drop to your knees. It is easy to fall over if you are standing. 2. Cover your head and neck with your hands and arms. Get under a table if possible. Also get away from windows. The glass might shatter. 3. Hold on until the shaking stops. 4. If you are outside, get to an open area so things don’t fall on you. Then drop, cover, and hold on. 5. Get ready for aftershocks. By doing these things, everyone will know what to do to stay safe. I think parents know this is important but they are busy working and sometimes earthquake preparedness gets put on the “I’ll do it later” list. Kids will want to help their parents get ready so that they are not sorry when the quake happens. When I tell people I live in the “Ring of Fire” it sounds very cool, but 90% of the world’s earthquakes happen in the Ring of Fire. There is no avoiding earthquakes while living in the San Francisco Bay Area. Your best chance of surviving an earthquake is to be prepared for one. Emergency preparedness is vital! To me, emergency preparedness is daily preparation for any disaster that may occur. At home, my family has kept an emergency backpack with our first aid kit necessary for an earthquake. Every year, my family and I would check our emergency backpack and review our fire evacuation plans. I wish that one day, there will be a national holiday dedicated for emergency preparedness. People will learn about the possible disasters that can occur in their neighborhood and know how to prepare for it. On the national holiday, all adults will be trained at work by being aware of all the emergency exits in the building and knowing the safety procedures during an emergency. On top of that, they can share their knowledge to friends and family. Meanwhile, students should be able to perform the basic steps during an emergency at school and at home. During a family gathering, parents and children should devote some time to discuss an escape plan and develop an emergency backpack. To accelerate the awareness of emergency preparation, we should provide incentive to local stores to sell emergency backpacks with the basic items needed in an earthquake. In the stores, there could also be personalized emergency items such as prescription or baby formula that others might also need during an emergency. People who are busy can just buy a backpack and purchase other items they may need. Others can pack everything at home. If people already have everything set, they could help relatives or friends pack emergency backpacks. I can also make other small changes that I believe is significant to others. For example, I can find a day to meet all my friends for emergency shopping. We can shop for emergency items to put in our backpacks. In addition, because I’m on the student council at my school, I can ask the principal if we can designate a day for earthquake preparedness at my school. On that day we can promote basic emergency supplies such as flashlight and bandages to students. Another idea to influence safety preparation to other teens is to create a thirty-second film and have all movie theaters show it before the movie. This can increase the awareness more rapidly, if the practice can be shown at all movie theaters nation-wide. These small changes will have a big impact to the community. If everyone is well prepared, natural disasters will not be a scary event and if word about emergency preparedness is wide spread, many lives can be saved. Feeling inspired? San Francisco provides a variety of resources to help San Franciscan’s prepare for any emergency. The San Francisco Department of Emergency Management’s SF72 program provides information about what to do in an emergency, simple steps to get you connected to your community, and useful guides to help you prepare. The San Francisco Fire Department’s Neighborhood Emergency Response Team (NERT) program is a free training program for individuals, neighborhood groups and community-based organizations. Through this program, individuals will learn the basics of personal preparedness and prevention. The training also includes hands-on disaster skills that will help individuals respond to a personal emergency as well as act as members of a neighborhood response team. For more information visit, www.sf72.org and http://sf-fire.org/neighborhood-emergency-response-team-nert. Every spring DEM joins our fellow San Franciscans to commemorate the Great San Francisco Earthquake and Fire that took place on April 18, 1906 at 5:12 a.m. The setting and run-of-show of this commemoration is consistent year-to-year. It incorporates elements of ceremony and ritual that when combined make tradition: DEM joins the community at Lotta’s Fountain, and at 5:12 a.m. we reflect on what happened that morning many, many years ago; and we celebrate how San Francisco rose from the ashes to become the resilient and beautiful city it is today. Along with the customary events in which we engage to commemorate the earthquake (you can read more about those details below), this year includes an additional event of special distinction: The 150th Anniversary of the San Francisco Fire Department kick-off event at Union Square. So, please consider joining DEM and your fellow San Francisco enthusiasts this Monday for an early morning of camaraderie and San Francisco pride. Please see details below for when and where to attend these special events and we hope to see you there! April 17, 2016 at the Marina Green, Marina Blvd. and Webster Street, from 8:30 a.m. – 3:30 p.m.
San Francisco Neighborhood Emergency Response Team (NERT) members from all over the city will meet to put their training into action in this three-hour drill. At the drill, NERT volunteers practice search and rescue techniques, triaging injured victims, setting up staging areas, and other essential disaster response skills. The drill commemorates the 1906 Great San Francisco Earthquake and Fire. NERT has held annual citywide drills since 1992 and approximately 300 volunteers participate in the April Drill each year. Since the 1989 Loma Prieta earthquake, NERT has trained more than 22,000 San Franciscans to assist the San Francisco Fire Department after a severe earthquake or other major emergency by taking care of themselves, their families, and their neighbors. At 5:12 a.m. we will mark the 110th anniversary of the San Francisco Earthquake and Fire. This disaster took the lives of an estimated 3,000 people and left the City in ashes as much of the destruction was caused by fires and nearly 300,000 people were left homeless. Since the 1920’s, residents have gathered at Lotta’s Fountain to reflect on the devastating 1906 earthquake and fire, and as DEM has done year after year, we will join our fellow San Franciscan’s at this very early hour to commemorate what remains one of the worst tragedies in California history. But Monday isn’t a convening to remember destruction; it’s a convening to remember connection. Because emergencies look more like cities coming together than falling apart, which is what happened here in San Francisco 110 years ago. It’s also a time to honor all those who came before us by preparing for any emergency. Visit SF72.org to learn how. So, if you are a very early riser, please join the commemoration around 5:00 a.m. at Lotta’s Fountain. Look for people dressed in 1906 period attire and practice your singing voice as we follow the moment of silence at 5:12 a.m. with “San Francisco”. If you can’t make it to Lotta’s Fountain, you can meet us at the Golden Hydrant (Church and 18th Streets) closer to 6:00 a.m., which gets a fresh coat of gold paint every April 18th to commemorate the 1906 Earthquake and Fire. For exact locations, check out the SF27 In an Emergency map, which has Lotta’s Fountain and the Golden Hydrant marked. Please join us to commemorate the kickoff of a year’s worth of events to celebrate the 150th Anniversary of our San Francisco Fire Department! Congratulations to Our Dispatcher of the Year! As part of the National Public Safety Telecommunicators Week (April 10-16, 2016) the San Francisco Board of Supervisors honored 9-1-1 dispatcher Natalie Elicetche with the Dispatcher of the Year Award. While serving as a call taker in San Francisco’s 9-1-1 Operations Center, Natalie fielded a call from a San Francisco resident who reported the possibility of multiple murders in Tennessee. Natalie contacted local authorities in Tennessee which led to the arrest of the murder suspect. The Dispatcher of the Year is elected by their fellow dispatchers for extraordinary performance while answering 9-1-1 calls or dispatching emergency services. Natalie shares this honor with her fellow dispatchers who provide vital ongoing support, which is indispensable to the entire San Francisco dispatchers team during crucial calls. Natalie has served more than 13 years as a Public Safety Dispatcher in San Francisco. As a native San Franciscan, she was raised and currently resides in the Richmond District. Natalie attended St. Veronica’s Catholic School in South San Francisco and Mercy High School in San Francisco before graduating from Long Beach State with a degree in management. San Francisco receives more than 1.2 million emergency and non-emergency calls annually. 9-1-1 professionals dispatch police, fire, and medical assistance to the scene of accidents, crimes, fires, and other emergency and non-emergency situations. In addition to taking calls from the public, dispatchers act as the communications hub for emergency services and must quickly assess situations to determine the appropriate resources to dispatch, making them the San Francisco’s first, first responders. In honor of National Public Safety Telecommunicators Week (April 10-16, 2016) we celebrated two young heroes, Allessandra Esquivel and Janaia McKinley for calling 9-1-1 for family members experiencing medical emergencies. San Francisco Public Safety Dispatchers Celia Velasquez and Burt Wilson were also honored for their professionalism and compassion while working with these remarkable young people. We were joined by the 9-1-1 for Kids organization’s national spokesperson, Tim Brown, formerly of the Oakland Raiders to distribute awards. Allessandra Esquivel and Dispatcher Celia Velasquez receive their awards. Our first 9-1-1 hero was Allessandra, who had to assist her non-English speaking parents in reporting that her baby brother was choking. “Can you send an ambulance? My baby brother is choking…He’s only nine months,” said Allessandra to Public Safety Dispatcher Celia Velasquez. Allesandra’s poise was impressive. She answered dispatcher Celia Velasquez’s questions in English, relayed information and reassured her parents in Spanish, and at Celia’s direction performed CPR on her infant brother. Dispatcher Burt Wilson receives his award. Our other amazing 9-1-1 Hero is Janaia McKinley who called 911 stating “Nana can’t breathe and she’s about to have a heart attack,” to Public Safety Dispatcher Burt Wilson. Janiai and her grandmother were the only ones home that night. “Nana” was lying on her side and could not feel her arm. Janiai had be to both Nana’s voice and advocate and Public Safety Dispatcher Burt Wilson’s eyes and ears. The 9-1-1 Local Heroes Medal of Honor is awarded to young people who call 9-1-1 to help save a life, protect property, or report a crime. The award also is presented to the 9-1-1 dispatcher who processed the call, and dispatched the appropriate emergency response help. The 9-1-1 Local Heroes Medal of Honor was created in 1999 and is now an international awards program. *Special note of thanks to Paul Henderson, Office of Mayor Ed Lee Deputy Chief of Staff of Public Safety for being the Master of Ceremony of this very special and educational event.